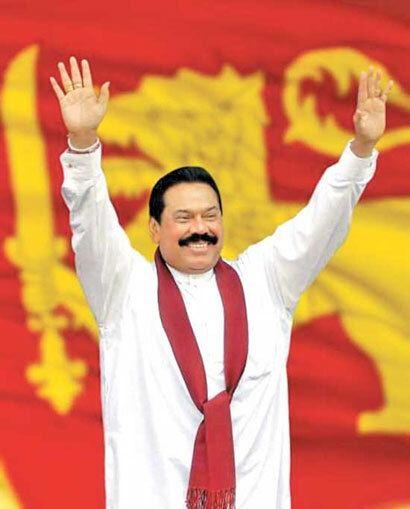 The United People’s Freedom Alliance (UPFA) secured a comfortable victory in the second phase of the Local Authorities election 2011 winning a total of 45 Local Councils out of 65 bodies. The main opposition United National Party (UNP) and the Janatha Vimukthi Peramuna (JVP) failed to win even a single Local Council at the election held on Saturday. The win gave the UPFA control over 75 percent of Local Councils. The UPFA secured victory in 250 LG bodies out of 299. The party won 205 LG bodies out of 234 in the first phase of elections held in March. In the North, the UPFA secured victory in three Pradeshiya Sabhas, namely Kayts, Velanai and Delft. The massive win gave the UPFA 512 seats out of 875 in 65 Local Councils. The Illankai Thamil Arusu Katchchi got 183 seats while the UNP had to be content with just 137 seats. The JVP could only manage to get 13 of its members elected while the TULF which won two Councils in the Kilinochchi district, got 12 of its members elected. The government ally SLMC also won seven seats. The ITAK won 18 Local Authorities and TULF two. Meanwhile, Elections chief Mahinda Deshapriya said that the polling was conducted successfully and in a peaceful atmosphere in all areas. “No major incident had happened during or after polling,” he added. Election watch dog PAFFREL too said that there were no major incidents during polling day. It said that barring a few minor incidents, the election was held in a very peaceful manner. The overall voter turnout was more than 60 percent. In the north too, voter turnout exceeded 50 percent. Most voters in the North voted in the polls for the first time since the defeat of the LTTE. n March 17, this year, elections were held for 234 of the 335 local authorities in the country. Elections for 65 councils were postponed due to legal challenges against rejection of nominations.